On Saturday, I picked up my Knotty Gloves for the first time in quite a while. 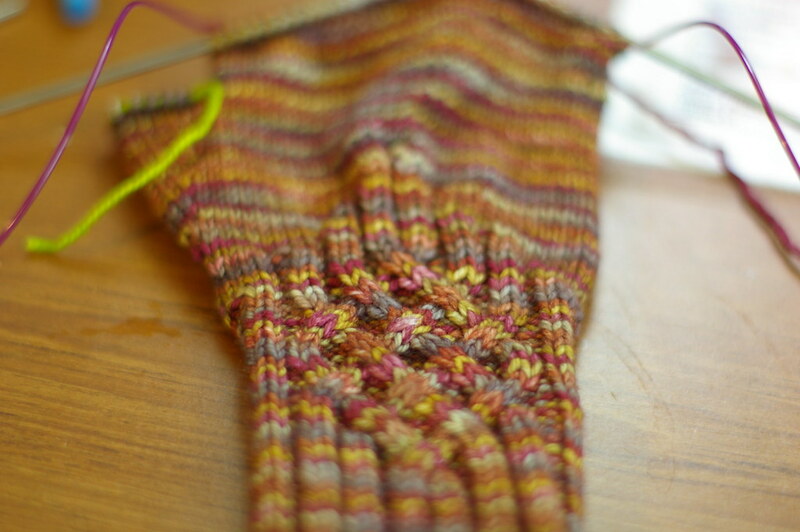 I’m at the point on the first glove where you’re done with the thumb gusset and are about to start the fingers. I slipped it on to admire my lovely cabling and noticed a slight problem. So, for most of that row, I tried to talk myself into ignoring it. 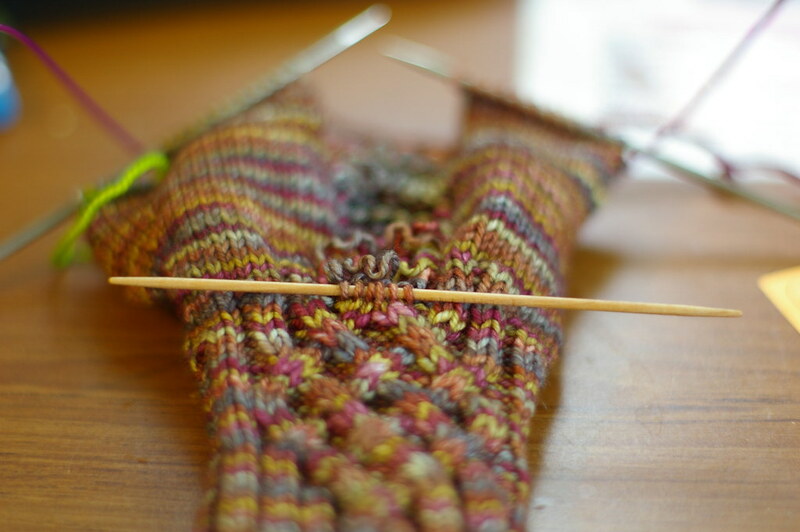 I made it most of the way around, then when I flipped the glove over to finish the row, the knot was facing me. Guess what? The over-instead-of-under was glaring at me like a ginormous zit on a prom queen’s forehead. *sigh* again. Major surgery was in order. 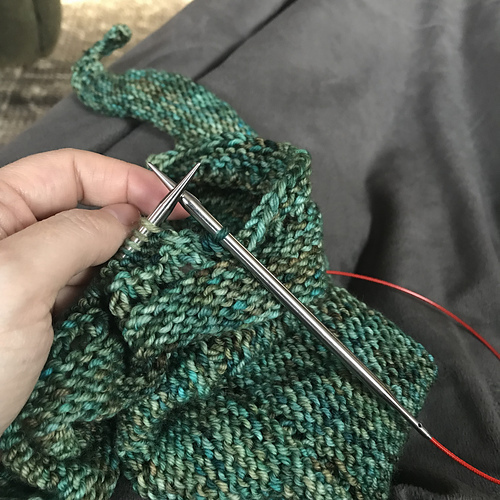 I gathered all my tools, my crochet hook, my size 1 dpn’s, my row counter (since I was dropping down to a charted part of the glove, I wanted to keep track of what row I was on) and I poured myself a cosmo. Then I dropped. stitches. Six of them, and I went down 36 rows. 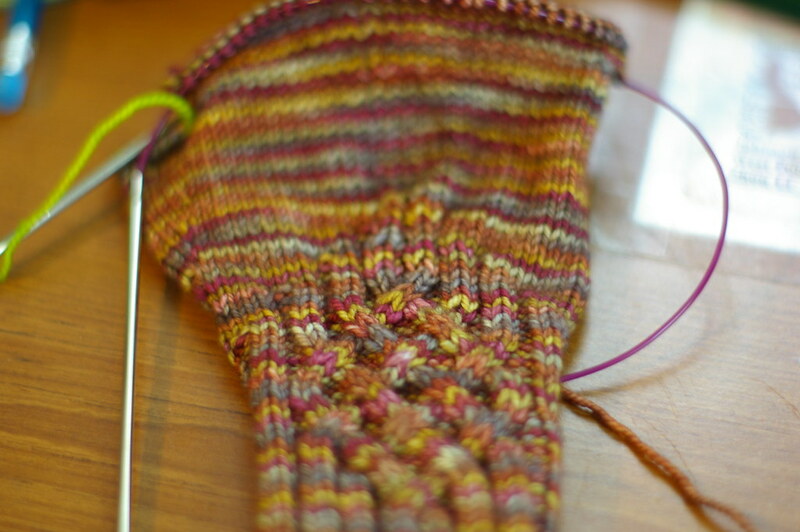 When I got down to where I needed to be, I put the stitches on a dpn, then put whole mess down and stared at it for a minute. Then I took a picture. Because I wanted to share my pain jubilation. Then, with shaking hands, I picked it up and fixed the cable. I knit up about six rows and noticed another problem. 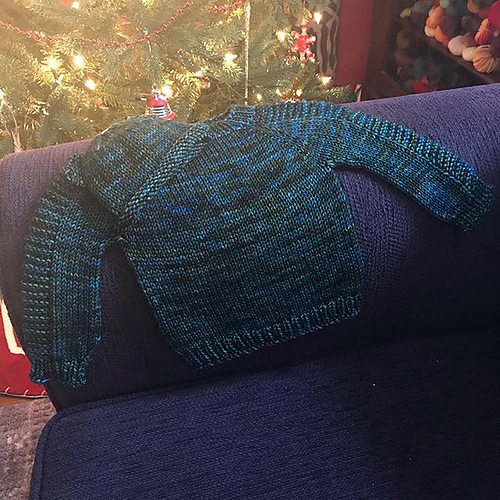 I had knitted through the back loop on one of the stitches ON TOP OF THE DAMNED CABLE. GAH!